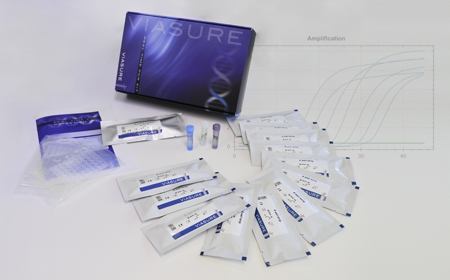 VIASURE Sexually Transmitted Diseases Real Time PCR Detection Kit is designed for the specific identification and differentiation of Neisseria gonorrhoeae, Chlamydia trachomatis, Mycoplasma genitalium, Trichomonas vaginalis, Ureaplasma urealyticum, Ureaplasma parvum and/or Mycoplasma hominis, in clinical samples from patients with signs and symptoms of sexually transmitted diseases (STDs). This test is intended for use as an aid in the diagnosis of STDs in combination with clinical and epidemiological risk factors. DNA is extracted from clinical specimens, multiplied using Real Time amplification and detected using fluorescent reporter dye probes specific for Neisseria gonorrhoeae, Chlamydia trachomatis, Mycoplasma genitalium, Trichomonas vaginalis, Ureaplasma urealyticum, Ureaplasma parvum and Mycoplasma hominis. Sexually transmitted infections (STIs) represent a group of diseases that affect the sexual and reproductive health of millions of people, being a public problem of interest. Etiological agents responsible for STIs include fungi, bacteria, parasites and viruses. Some of these microorganisms are eliminated after a period of time, while others are recurrent and some remain in the body asymptomatically, allowing the progress of the disease and generating consequences such as inflammations of the genito-urinary tract, infertility and even the development of cancer. Among other sexually transmitted pathogens, four species of bacteria of the genus Mycoplasma can be found (Mycoplasma hominis, Mycoplasma genitalium, Ureaplasma urealyticum and Ureaplasma parvum) whose presence can also lead to various infections of the genitourinary tract in humans. Mycoplasma hominis colonizes the lower urogenital tract and is associated with urogenital infections, particularly bacterial vaginosis and non-gonococcal urethritis. It is also involved in extra genital infections, such as postpartum or post-abortion fever, in post-cesarean wound infections or after a hysterectomy. In neonates, it can cause meningitis, brain abscesses and eye infections. In adults, bacteremia, septic arthritis, osteitis, endocarditis, mediastinitis, brain abscesses and respiratory infections have been described. Most patients have predisposing factors, including immunosuppression, trauma, respiratory problems or post-manipulation and/or surgery of the genitourinary tract. It is considered a bacterium present in the normal micro flora in 20% of the male population and in 40% of the female population. Mycoplasma genitalium is a facultative anaerobic organism and a recognized cause of nongonococcal urethritis in men. In women, M. genitalium has been associated with cervicitis, endometritis, pelvic inflammatory disease (PID), infertility, susceptibility to human immunodeficiency virus (HIV), and adverse birth outcomes, indicating a consistent relationship with female genital tract pathology. The long-term reproductive consequences of M. genitalium infection in asymptomatic individuals need to be investigated further. Ureaplasma spp. are often isolated from human genital mucosa of individuals with a lack of symptoms. In humans, two major species, namely Ureaplasma parvum and Ureaplasma urealyticum (family Mycoplasmataceae, genus Ureaplasma) are part of the genital flora of men and women and are present in almost 70% of sexually active population. These bacteria cause inflammation and lead to chorioamnionitis, preterm deliveries, and premature rupture of membranes. Recently, their pathogenic roles on spermatogenesis and subsequent male infertility have been also suggested. Although both male and female carriers are asymptomatic, Ureaplasma spp. is occasionally isolated from the neonatal lesions of bronchopulmonary dysplasia, intraventricular haemorrhage, and necrotizing enterocolitis. Neisseria gonorrhoeae is an obligate human pathogen and is the etiological agent of gonorrhea. Syndromes include cervicitis in women, and urethritis, pharyngitis and proctitis in both sexes. If untreated, women may experience severe sequelae of pelvic inflammatory disease, chronic pelvic pain, ectopic pregnancy and tubal infertility, while men may develop epididymitis, prostatitis and urethral stricture. Chlamydia trachomatis is a small intracellular bacterium that requires living cells to multiply. There are 18 serotypes; D-K are the ones that cause sexually transmitted infections, as well as neonatal infections. The majority of genital chlamydial infections in both males and females are asymptomatic. When symptoms do occur, lower urogenital tract infection can manifest as cervicitis in females and urethritis in males and females. Whether symptomatic or asymptomatic, untreated chlamydia can ascend to the upper genital tract. In males, this can cause epididymitis, which is not thought to be an important cause of long-term sequelae. However, in females, upper tract infection can result in pelvic inflammatory disease (PID), a spectrum of clinical disorders involving infection and inflammation of the uterus, fallopian tubes, ovaries, or adjacent peritoneum. Conventional diagnostic assays, lack sensitivity, require viable organisms and thus special shipment conditions and, sometimes, invasive sampling.  As nucleic acid amplification tests, as real time PCR, allow us to overcome some of these limitations. Several molecular diagnostic assays have recently been commercialized to assist the syndromic diagnosis of STIs. In addition, their implicit multiplexing capacity allows for the detection of multiple pathogens in a single sample.